Share this product and receive a $2.16 sharing discount. 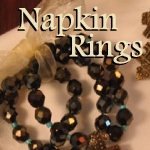 Each stunning napkin ring has been skillfully made by hand using crystal, turquoise, Venetian glass, and vintage beads. 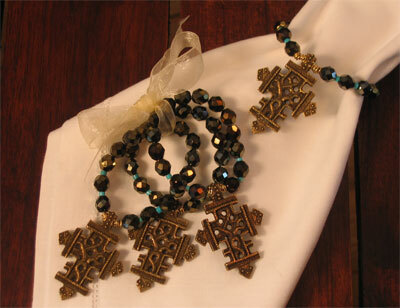 This particular ring has been adorned with an eye-catching bronzed cross. These will certainly make a statement at your next dinner party.